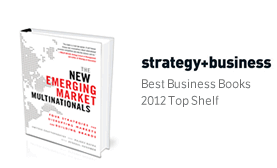 This case illustrates the key issues and challenges in creating and sustaining a successful brand in emerging markets. Peter England, India’s largest apparel brand by sales volume, was struggling to formulate a strategy to sustain the brand’s market dominance. Indian consumer tastes were changing rapidly, making it difficult for any brand to stay relevant and fashionable over time. Meanwhile, other domestic brands and foreign players were expanding and evolving rapidly, aiming to dethrone Peter England as the market leader. To devise a new strategy to sustain the brand’s dominance, the executive team has to dissect the forces that are shaping the market and develop a new positioning for the brand, a robust platform that can accommodate its broad portfolio of products and sub-brands. The executive team also has to develop an implementation plan for the brand positioning, entailing product development, advertising, promotions, pricing, and distribution. This case can be used in an undergraduate, MBA or executive education course on marketing, strategy, branding, consumer behavior, international business, emerging markets or other related subjects. The case is designed to help students understand the key issues and challenges in creating and sustaining a successful brand in an emerging market like India. It can be used to illustrate the forces that drive a market to evolve rapidly and the type of strategies that can empower a brand to thrive in such a fast-moving environment. It can also be used to illustrate how to leverage consumer insights to inform development of strategy, how to create a robust brand positioning that can accommodate a wide portfolio of product categories and sub-brands, how to devise and implement an integrated plan that aligns different marketing elements to synergistically support a positioning, how domestic firms in emerging markets can leverage their unique advantages and overcome their weaknesses to compete with large multinational players, as well as how foreign entrants can better utilize their strengths to achieve success in emerging markets.